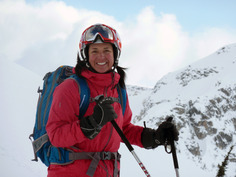 The Lisa Korthals bursary provides financial aid to those women who are pursuing a career in mechanized ski guiding through the CSGA. Eligible for any women applying to CSGI accredited courses such as CSGI Level 2, 3, SGSC or Touring Module. Preference will be given to someone that has already completed the Level 1 CSGI course and is looking to advance through the CSGA program. Deadline for this years applications will be April 7 of the calendar year the courses are offered.